A REDUCTION in the Queensland First Home Owners Grant has done little to deter those looking to make their leap on to the property ladder. National data from the ABS shows that the number of finance approvals for first home buyers is now at its highest level in eight years. In Queensland, the number of finance approvals has increased by almost 10 per cent - proof that first time buyers are not afraid to buy a home with or without the state grant. The grant, which only applies to new builds up to $750,000, dropped from $20,000 to $15,000 on July 1. REA Group chief economist Nerida Conisbee said while the number of finance approvals for investors and upgraders had dropped, first home buyers were bucking the trend. "We are now seeing the highest level of first home buyers since 2010," she said. She pointed to two suburbs within reach of first home buyers - Albion, which has a median house price of $750,000 and Tugun on the Gold Coast, where the median house sales price is $647,000. The 'high demand suburb' has a median sales price of $415,000 and records about three times the number of searches per property compared to the national average. A newly renovated four bedroom house is on the market for $399,000 - well below the overall Brisbane median house sales price of $535,000. Other top spots for first homebuyer budgets within 10km of the city are Keperra, Tingalpa, Everton Hills and Chermside. A three bedroom 'fixer upper' at Everton Hills is on the market for $450,000, and sits on a 615sq m block. The median house sales price for Everton Hills is $558,000, according to CoreLogic. Shirley Mapp of Re/Max Premier Consultants Chermside said she was seeing a lot of activity from first home buyers in the area. "At $450,000, that is great value if you can see its potential," she said. 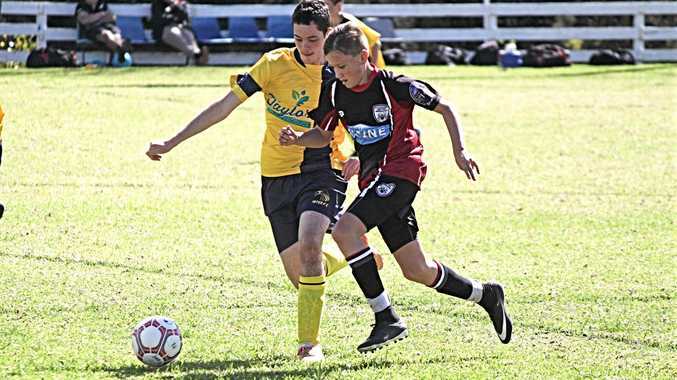 Ms Mapp said first home buyers were pushing up prices in family-friendly suburbs such as Everton Hills, which had traditionally been held for many years. She said Baby Boomers whose children had left home were now moving on, opening the way for first home buyers to enter the market. For those happy to commute a few extra kilometres, big savings can also be found at Riverview, Ebbw Vale, Gailes, Dinmore and East Ipswich, where existing houses have a median sales price under $275,000 within 30km of the CBD. 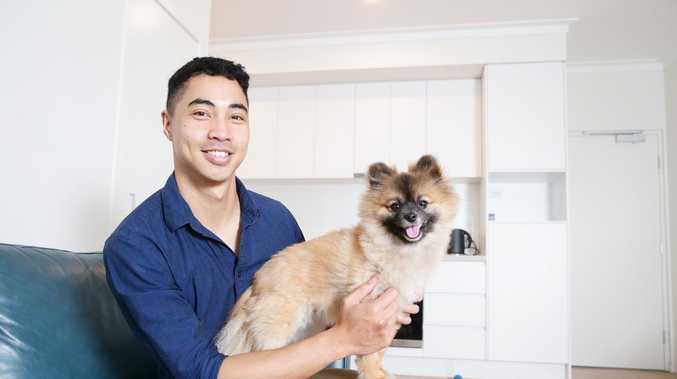 First homebuyer Efrem O'Brien purchased a one-bedroom apartment in Stockwell's Muse apartments in West End after renting in Sydney. "I moved back up after being offered a position with Queensland Ballet and my job is only about 100m away," he said. "I lived with my parents at first so it is nice having my own space again. "I am paying less on my mortgage now than I was paying in rent in Sydney." Andrew Russell, who is the executive general manager at realestate.com.au Home Loans, said they were seeing more confidence from first home buyers. "Have a clear budget in mind that takes into consideration your lifestyle, allows enough of a buffer, and ensures you're not over committing yourself," he said. "This is particularly important with interest rate rises on the horizon for most Australian banks".